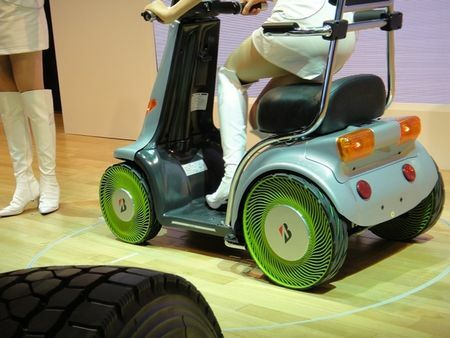 Bridgestone has come up with an innovative tire technology concept that eliminates the use of air. These air free tires will be made of thermoplastic resin. Bridgestone will soon showcase their curved spokes in their upcoming retail model. The spoke is made of a thermoplastic resin material that can be recycled, so it’s environmental friendly and durable. They are still doing a research on how to protect them from objects that may get stuck inside. The days of punctured air filled tires are now numbered. Let’s hope to see this innovation in conventional cars real soon.